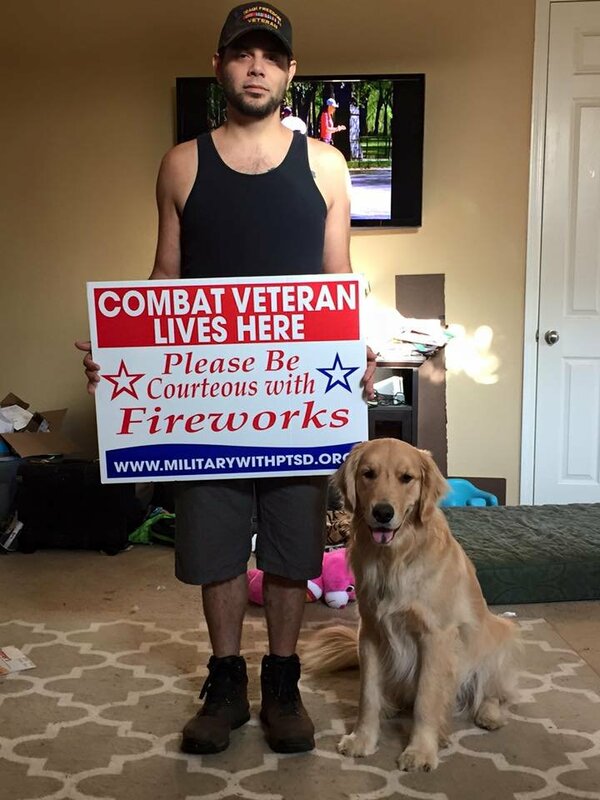 You can provide a free yard sign to veterans who struggle with Fireworks. 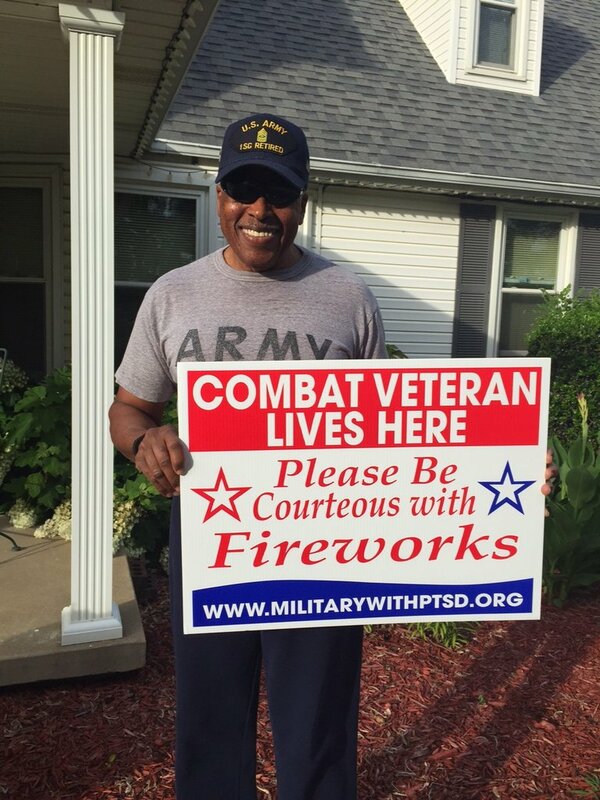 In 2015, over 4,000 signs were given out to veterans, but it is not enough. 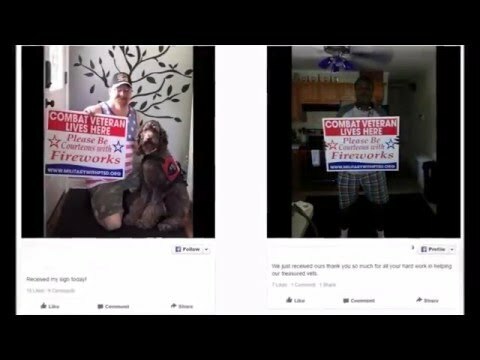 There are still thousands of veterans waiting for a free sign. If you would like to sign up for a sign please register at http://www.militarywithptsd.org/involvedwithus/registration/ and check the box Firework sign. July 4th an Army Veteran committed suicide after his PTSD was triggered by unexpected fireworks. According to the Department of Veterans Affairs, loud blasts and flashing lights can sometimes induce panic attacks. PTSD is characterized by emotionally re-experiencing traumatic events. The thoughts are triggered for combat veterans by the sound of an explosion or gunfire, or even certain sights and smells, according to the Institute of Medicine. 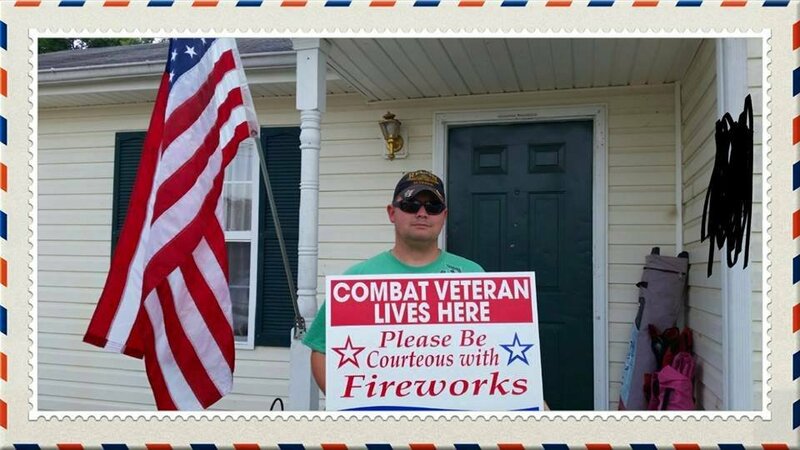 This project will remind people a veteran lives in their neighborhood and that if they are planning fireworks, heads-up would be nice. Fireworks are expected on July 4th and it is our responsibility to prepare for those, but on the 1st, 2nd, 3rd, 5th, and 6th a courteous heads up would be nice. 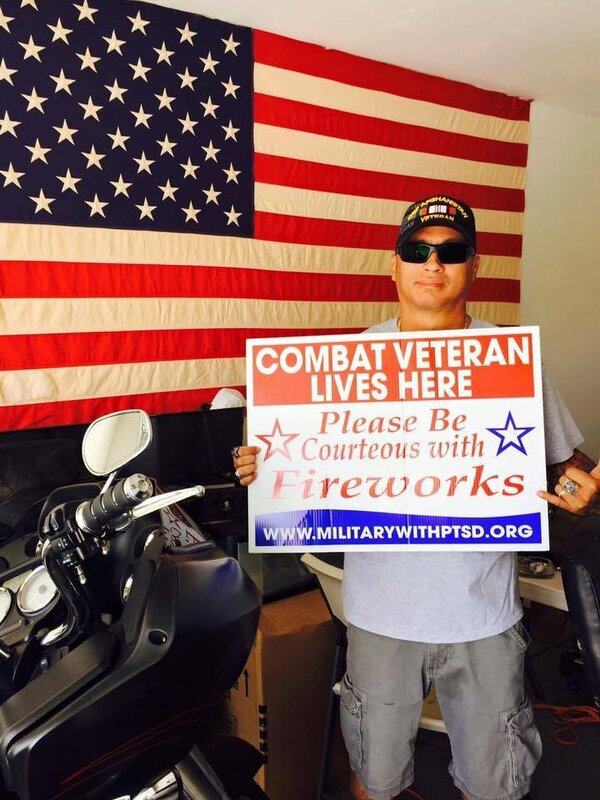 Many veterans are fine with the big firework shows, it is the unexpected fireworks that can trigger their PTSD. 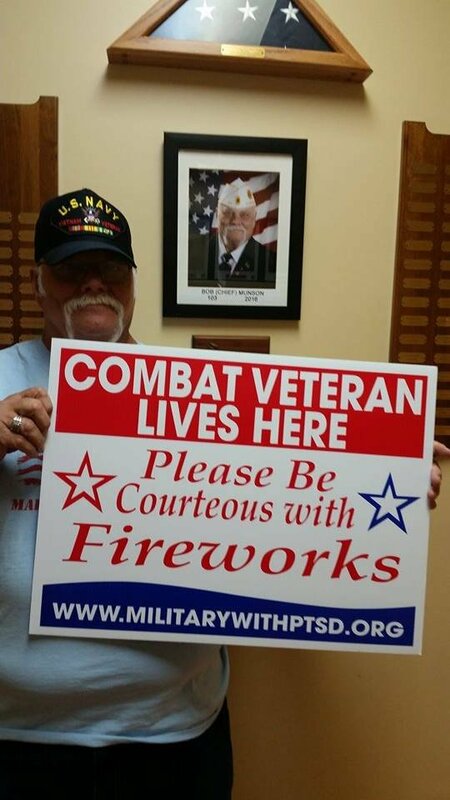 No one wants to stop fireworks, veterans are just asking for a courteous heads up. Veterans are not the only sufferers of PTSD; the illness occurs after other types of experiences such as a sexual assault or a car accident. 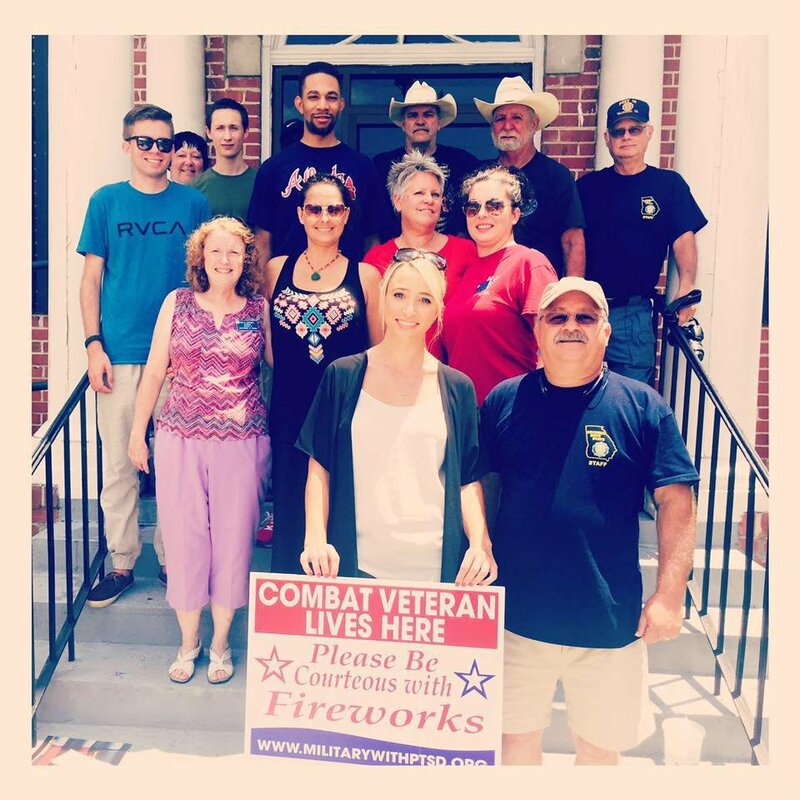 The "Explosion of Kindness" campaign is to educate everyone on the effects of fireworks on veterans and hopefully others who are afflicted with PTSD.